When the first winter snow blankets your city, there’s a short list of things you may feel inclined to do: brew hot cocoa, bake cookies, make a fire, or otherwise embrace the great (and heated) indoors. But what about a run? Just because it’s winter doesn’t mean all of your hard work over the summer has to go to waste. Hear us out. The once-bustling sidewalks, parkways, and multi-use trails of our Northern cities tend to fall silent when snow, wind, and freezing temperatures blow into town. This leaves the intrepid all-weather runner with a tranquil urban playground ripe for boundless exploration and enjoyment. 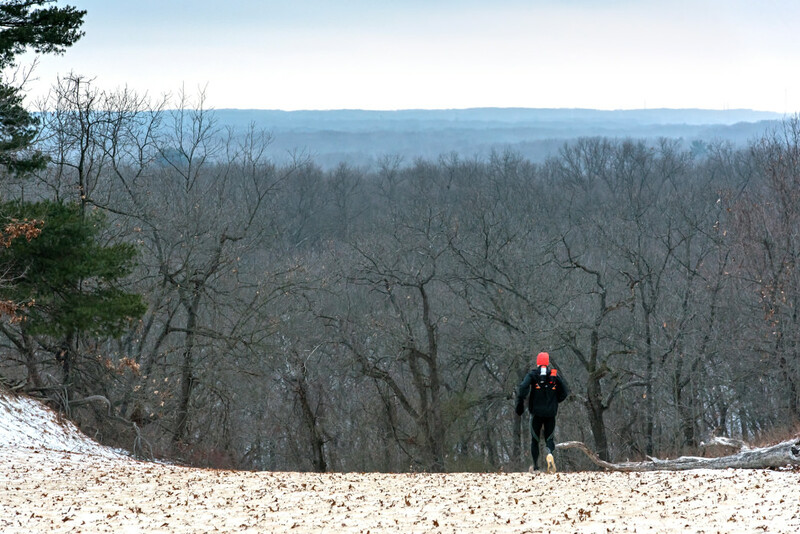 Ready to ditch the treadmill this winter and take back your favorite routes? Good! We talked to winter running experts from three insanely chilly cities to find out how anyone can thrive in cold. You’re not going to have any fun if you’re freezing the whole time. Apparel is crucial (or at least the ability to adjust your clothing to the condition). Jonathan Griffiths is the owner of Rochester Running Company in Rochester, New York, and an outfitter of the city’s unwavering winter running crowd. Griffiths recommends starting with a solid base layer to be worn under everything else, so make sure the material feels comfortable up against your skin. Wool is a common base layer fabric for its ability to keep you warm dry or wet, and don a set of base layer tights under your normal tights or pants on the coldest of days. If conditions are dry and cool but not freezing, Griffiths says runners can swap an outer shell for a long-sleeved shirt to wear over the base layer. Warm clothes can keep you going, but you’ll be flailing about in the dark if you don’t make some simple yet crucial adjustments to your gear. "We sell a lot of Yaktrax - you can put them on the bottom of any shoe. 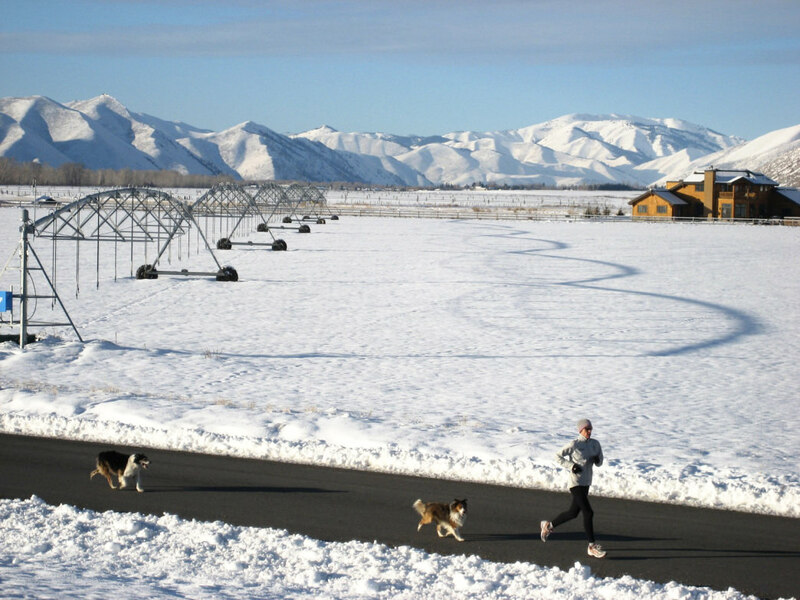 Those help with running in the snow and ice because they have spikes and wire coils for traction," Dedering says. Some winter-specific running shoes have extra sticky outsoles to keep you upright on the slick spots. “The material acts as a putty once it hits an ice patch,” Dedering says of the shoe. You can’t avoid what you can’t see, which is why Griffiths recommends wearing a headlamp over your hat if you’re going out in the dark. And as sundown creeps earlier and earlier, being seen by drivers is super important. Croci says his wife has a proven trick to make it out the door each day. "She tells herself, ‘I’m only going to go out and run 10 minutes,’ and once she’s out and going for a few minutes, she’s going to keep going," he says. Save some personal motivators, like your favorite pump-up song or a running movie, for the worst days. Springsteen’s *Born to Run *coupled with running flick *Chariots of Fire *should do the trick. You’re standing at the door sweating through all these layers, physically and mentally primed to lay down a PR in six inches of snow. 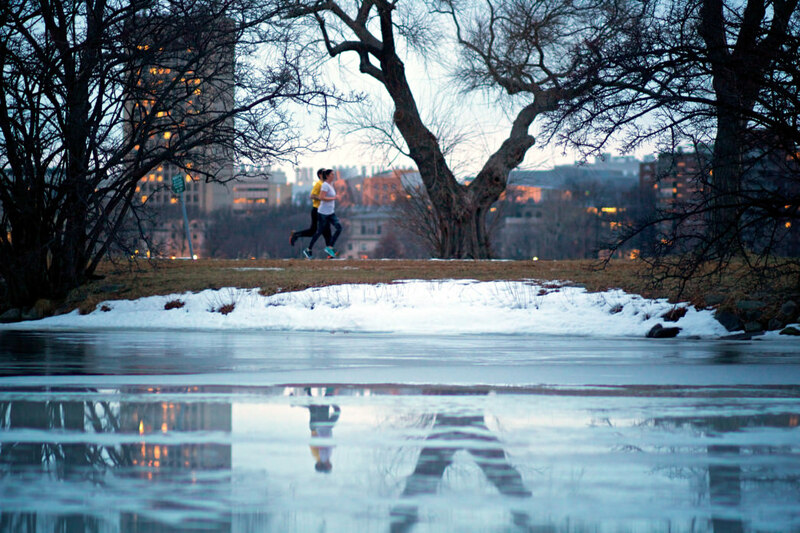 Before you go, remember the rules of running in the dark, snow, and ice. Is there ever a situation when you absolutely shouldn’t run outside? Of course - be smart about the weather and don’t let yourself get caught out in a dangerous situation. Croci says that runners who are looking to complete high-quality aerobic and anaerobic workouts might be better off on a treadmill or indoor track, as poor conditions could hamstring your workout (and because flat-out sprinting over ice is never a good idea). Otherwise, lace up and get out there! 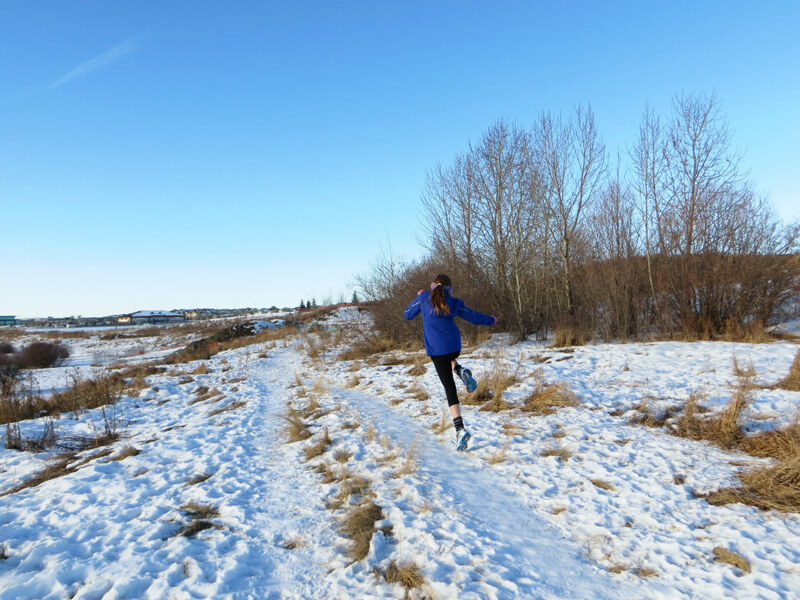 Superfeet RUN Insoles can take your winter from from flat to fantastic. Responsive and lightweight, our run-specific insoles alleviate pain, reduce foot fatigue and help you do more of what you love, even when the temperature drops well below freezing. A long, punishing ribbon of rocky scree or shifting sand can leave even the most devoted trail runner's legs feeling trashed.